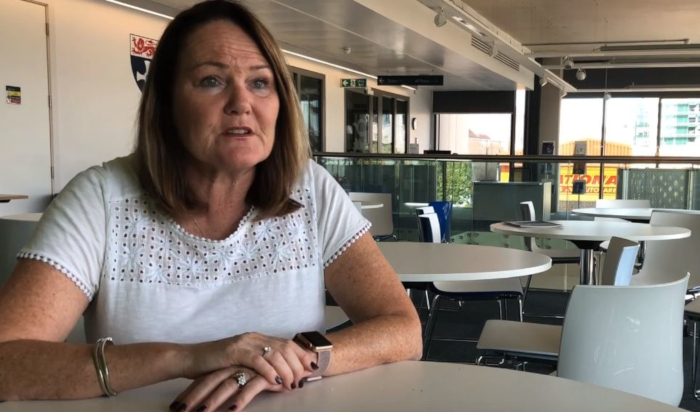 Fiona McDonald, director of data sharing and online patient preference setting for Great North Care Record at NHS, talks about ongoing projects under her care, what patient-centricity means to her and more. Fiona McDonald, director of data sharing and online patient preference setting for Great North Care Record at NHS, recently spoke with Healthcare IT News about what the U.K. data exchange initiative means, described some of her ongoing projects there and explained what patient-centricity means to her as a digital clinical champion. Q. Could you tell us about more about your roles as Director at Great North Care Record and Digital Clinical Champion at the NHS in England? A. I am a clinician with a background in nursing with 12 years involvement in national programmes developing and promoting the use of digital solutions to improve healthcare and patient experience. In 2018 I became the workstream director for collecting citizen preferences for the Great North Care Record. It means that key information about patients’ health such as diagnoses, medications, details of hospitals admissions and treatments is shared between different healthcare services including hospitals, out of hours and ambulance services, all of whom may all be involved in caring for a patient. Currently, local health services hold different and/or duplicate pieces of information about patients, as information isn’t easily shared between different organisations. Through sharing this information electronically via the Great North Care Record, healthcare practitioners can then use it to access the most current patient details, which are consistent and up to date, 24/7. Getting the public to set their own data sharing preferences is a founding principle of the Great North Care Record. We want people to be in control over how their data is shared. We need the public to understand how their information will be used and the benefits it brings to them, others within their community and those with similar conditions. We want patients to actively opt-in to the Great North Care Record. The value of healthcare data is enormous for the NHS and for researchers. As a high-level strategic goal, we want to be able to unlock the data held in healthcare IT systems. Through doing this we can make the North East and North Cumbria one of the best places in the world to carry out healthcare research. To ensure that all considerations around safety, security and user experience are worked through, an advisory group has been set up, which brings together clinicians, information governance experts, academics and people who have led on projects from around the North East and North Cumbria specialising in setting up and gathering data sharing preferences. The aim is to produce a user-friendly mechanism for the people of the North East and North Cumbria to set their data sharing preferences. The group meets on a regular basis, and has already explored the issues, and bringing in real life experience, around getting individual’s permission to share their data for purposes beyond their direct care. At the same time, we are asking people for their communication preferences, so that researchers can contact people directly to participate in research studies. We want the region to be a consent rich research environment. In addition, I am a clinical advisor providing clinical leadership and clinical engagement for the Primary Care Digital Transformation programme at NHS England. Recently, a large element of this has been the introduction of a safe and secure way for patients to order prescriptions, book online appointments and access elements of their GP record, including test results, to support self-management of long-term conditions and improve health literacy. We want patients to be able to access validated information rather than rely on google searches. Q. The term ‘patient-centric’ is quite commonly used now in the context of healthcare – in your experience, what does being patient-centric mean and how can the use of technology empower patients? A. In a nutshell, the health service has historically been set up to support staff and clinicians, often not focusing on patient pathways, patient journeys or ease of digital access for patients. We need to focus on these and ensure that the technology enables safe services and easy access; to me this is the essence of patient-centric. Technology already in use in primary care allows patients to set or change a community pharmacy ‘nomination’, allowing electronic prescriptions to be sent securely from the prescriber to the pharmacy of the patient’s choice. Add to this the option of ordering prescriptions online, which provides a more convenient (24-hour access), and time saving (not having to visit the practice to make the request) solution for the public. The profession also benefits from clear prescription requests, which are safer, quicker and easier to process, and an end to end audit trail for prescriptions, from ordering to dispensing and collection. Providing patients with access to their own GP record, enables them to be more involved in managing their own care, and making informed decisions about the care they choose to receive. They can choose to share their information with other care professionals, which is particularly useful if they need to be treated when they are outside their geographical area or abroad. Fundamentally, we need to develop systems based on patients’ requirements, listening to their feedback and input, and avoid trying to shoe horn elements of technology into often disparate and out of date systems. Q. You mentioned in an article by Digital Health that “digital transformation would not happen in the NHS unless it offered more equal representation across its workforce” – what do you think can be done to encourage more women to take up leadership roles in the NHS? A. I believe part of the issue within technology is the terminology used. When we talk about IT, digital or electronic, the assumption is often a very ‘technical’ IT and male preferred environment. We need to change the language to include ‘clinical system’ supporting and enabling safe care. There are a number of strategies that organizations need to adopt, including flexible working, senior and managerial positions offered at part-time or job share arrangements. Managerial and senior leadership in all organizations should loosely resemble the workforce. So if there are 60% women in the workforce, then this should be representative, without of course, compromising ability and suitability. The opportunities for development need to be broadened, offering not just training and leadership courses but shadowing, peer review, and mentoring schemes. Q. You are going to share on the topic, “The path to patient self-care and management using online access in England” at the HIMSS Singapore eHealth & Health 2.0 Summit in April. Could you tell us about two key takeaways/lessons from the session that can be applied outside of the NHS? A. "Never underestimate the amount of workforce engagement required and the cultural change needed." While some of the systems we have deployed could be described as ‘a no brainer’ to save time and improve efficiency, unless this is supported by engagement, business change and wide communication the system will not be utilized to maximum efficiency. "What’s in it for me?" Think about your audience, and what they will get from the system. If this is for patients or customers it needs to be easy to use, reliable, and available when they want to use it. The usability needs to be excellent, it is said that an app will be used or discarded within the first 30 seconds after download, so workflow needs to be seamless. "Why" is an often-overlooked element, and needs to be fully explored and easily articulated, many projects fail because the why has not been fully developed. It may be a non-cash releasing benefit such as improving safety, security and convenience. It could also be time saving, in which case toolkits such as easy to use time saving calculators should be made available to demonstrate this benefit. All these must be supported by interactive, searchable and to the point guidance documents, which allows for quick access to the information the user is searching for. Fiona McDonald is a speaker at the upcoming HIMSS Singapore eHealth & Health 2.0 Summit from April 23-24. Registration is still open and you can register for the event here.